The Botanical Society of America proudly supports the Conservation and Research Foundation in honoring the memory of DR. JEANETTE SIRON PELTON. The Jeanette Siron Pelton Award is made by The Conservation and Research Foundation of New London, CT, through the Botanical Society of America. The Pelton Award is given in recognition of sustained and creative contributions in plant morphology. The award defines morphology broadly to include the subcellular, cellular and organismal levels of complexity, and will recognize experimental, comparative, and evolutionary approaches. BSA appoints the nomination committee and presents the award at the annual meeting. Beginning in 1998, the recipient of the Pelton Award has been invited to present a special address (the Pelton Lecture) at the BSA Annual Meeting the year following the award presentation. The awards includes a $1,000 award, plus travel costs up to $1,000 to present the Pelton Lecture. Call for Award Nominations: January 1 - April 1, 2019. Dr. Shirley Tucker is best known for her significant excellence and outstanding contributions to plant morphology and developmental anatomy. Throughout her career, Dr. Tucker made a point to end her extremely thorough papers with a very cogent synthesis of the broader context of her findings. She has published over 140 papers on floral morphology, plant systematics, and the lichens of California, of those 35 post-retirement. Her foundational work prepared the stage for current research in molecular floral development and evolutionary genetics, and her insights continue to be sited by developmental biologists and plant morphologists alike. Dr. Neelima Singh is best known for her ongoing work on understanding the developmental and evolutionary basis for leaf form, starting with her examination of the role of KNOX homebox genes in regulating the development of simple versus compound leaves. Her integrative work evolution of form spans a broad range of forward-thinking approaches, from morphometrics and gene family evolution, to recent work using single cell transcriptomics and network approaches to decipher conserved and divergent modules involved in leaf development. Her enormous influence has touched on morphology, developmental genetics, evolutionary biology and even agriculture. A testament to her impact on the field of plant morphology and development is the long list of influential students and postdocs that were mentored in her lab. Over the course of his career, Professor Hasebe has maintained an extraordinary level of productivity in a range of botanical subdisciplines ranging from the some of the earliest influential molecular analyses the phylogenetic relationships of major lineages of land plants to having developed the leading research group examining the evolution of plant form (morphology) in ancient lineages of plants (namely the mosses). In short, Mitsuyasu Hasebe’s work is of the highest order in the fields of plant phylogenetics and development, and he has “pushed the envelope” of our understanding of plants not once, but multiple times. Accordingly, his papers have appeared, and continue to appear, in the best journals, and the impact his work is having on others (as measured by citations) is immense. The Botanical Society of America is honored to award Dr. Mitsuyasu Hasebe the 2013 Jeanette Siron Pelton Award. 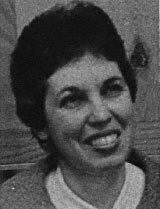 Martha C. Hawes is well known for her work on root border cells. In the past, most people considered these cells to be ”sloughed-off root caps cells” that were non-viable and without function. Martha’s entire career has focused on changing this perception and now border cells are described in numerous botany textbooks. Throughout her entire career, she has been very creative in designing experiments to understand the basic biology of this unique cell type especially in light of how border cells fight plant disease. These metabolically active and viable border cells “trap’ fungi and other potential pathogens, which are then detached from the root surface leaving the root tip free of infection. Considering that the root tip serves as one of the major sources of root exudates that can attract microbial pathogens, the fact that this exceptionally vulnerable region of the root is protected from infection by the border cells is a real paradigm shift, especially via the mechanism Dr. Hawes proposes. Dr. Tobias Baskin is recognized for his research into how plants control their shape via cellulose microfibrils and the microtubule cytoskeleton. He has made fundamental contributions to our understanding of how local cortical microtubule organization is related to microfibril orientation, which constrains cell and, ultimately, organ growth in longitudinal and radial directions. He has combined physiological, cytological, ultrastructural and genetic approaches to his studies of cell growth, and is credited with important innovations of microscopic techniques. Dr. Baskin is currently investigating the interaction of specific proteins with cortical microtubules, the plasmamembrane, and the cellulose synthase complexes in the membrane, to critically evaluate his proposed model of cell wall control of its own microfibril orientation. Dr. Friedman is highly commended and recognized for his research contributions on double fertilization in Gnetophytes, the origin of angiosperm endosperm and concepts on the early evolution of gametophytic structure. Dr. Niklas is noted for this exemplary work in the areas of theoretical and experimental examination of plant form, strategy, and evolution. His pioneering studies applying mathematical and structural modeling to describe plant geometry have provided a strong basis for understanding the optimization of plant form. He has effectively applied this approach to the three basic vegetative structures as well as to flowers, strobili, and inflorescences. His studies have produced an extraordinarily rich and diverse series of publications that will serve the field for many years to come. Dr. Scheres is noted for his exceptional research and commentary in plant morphogenesis. Dr. Scheres is an outstanding analyst and researcher of plant development, especially of roots where he has made seminal contributions. He demonstrated the dominance of position over lineage in determining root cell fate, and has established the significance of signaling between different populations of cells in the root. He has shown that quiescent cells in the center of the root meristem play an important role in preventing surrounding cells from differentiating prematurely and thus function in root development. His identification and analysis of several Arabidopsis mutants have significantly advanced our understanding of the genes that control root architecture and cell specification. He is the author of numerous influential reviews. Dr. Scheres has had a major impact on the field of morphogenesis and is deeply deserving of this award. Dr. Kaplan is cited for excellence in research scholarship in the areas of plant morphology and morphogenesis throughout his career. He has reached out both to traditional plant biologists as well as to those who have come to plant biology through an interest in molecular aspects of biology. He is the author of numerous substantive publications on leaf development that are recognized as classic papers on the subject. Of particular significance is his work on the relationship between the cell and the organism as it has required both plant organismal biologists and molecular geneticists to reevaluate their thinking about the underlying mechanisms responsible for the origin of plant form. For using a genetic molecular approach to make a significant impact on our understanding of the mechanisms of plant morphogenesis. She was the first to show that homeobox genes, known to be important regulators of morphological pattern formation in animals, also regulate plant development. Dr. Meyerowitz has combined a genetic and developmental approach to flowering that has profoundly affected the field of plant morphogenesis by discovering regulatory genes that confer identity during organogenesis. Dr. Poethig's contributions to the understanding of genetic control of plant morphogenesis are broad and profound. His research has capitalized on whole-plant, cellular, and molecular techniques to further understand homeotic mutations in corn. The committee was particularly impressed with his work on genetic mosaics as an experimental tool to examine the morphological consequences of mutant tissue and the genetic controls on phase changes in corn development. His contributions are anticipated to shed light on many botanical systems other than corn. In recognition of her outstanding, original studies on the development and function of floral organs. Her multifaceted approach, using anatomical and physiological techniques as well as kinematic analysis especially in the comparison of cleistogamous and chasmogamous flowers have significantly advanced our knowledge of flower development as well as its function in breeding systems. Her finding that inert latex beads are moved from the stigma to the ovary by the stylar matrix has provided exciting new insights on postpollination events. 1983 - T. J. Cooke, University of Maryland for his original and fundamental contributions to our understanding of fern gametophyte morphogenesis. As a result of his unique biophysical perspectives, Dr. Cooke's work has significantly altered previous views of the role of light and various biochemical agents on the control of gametophyte growth and differentiation. The fourth recipient of this Award, Dr. Peter Klock Hepler, whose penetrating analytical and experimental studies of the ultrastructure of differentiating cells have made a significant and lasting contribution to our perception of morphogenesis at the cellular level. In particular his work on the ultrastructure of differentiating xylem elements, on the roles of microtubules and microfibrils, and on the control of the orientation of mitotic spindles in differentiating cells have provided new insights which hold great promise for the future. Professor Wardlaw thus became the second person to be honored by this award, which carries a stipend of $1,000. The citation accompanying the award stated: "Experimental morphology is a synthetic science and draws its practitioners from the full spectrum of plant science. It is completely fitting that this award be presented to a man whose scholarship epitomizes the style of the discipline. Professor Wardlaw's accomplishments are many and varied, ranging from authoritative works on the diseases of tropical plants to investigations of morphogenesis in pteridophytes and angiosperms. Perhaps his greatest contribution has been made through his various books in which he has effectively argued for a broad philosophical view of developmental problems. He has outlined many of the basic morphogenetic problems during the past two decades, and his eloquent pleas for an integrative approach to the study of plant development will provide a hallmark for all future investigators."